The Battledown estate in Cheltenham is the location for this modern house covering nearly five hundred square metres of accommodation. The design was governed by a number of design codes laid down by the Battledown Estate. 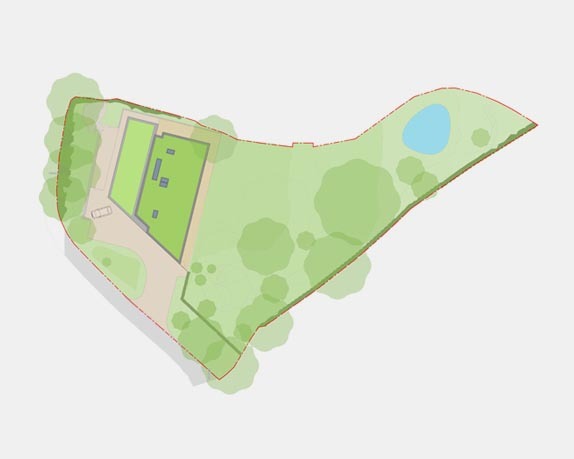 The form of the building expresses the pre determined building elevation line. 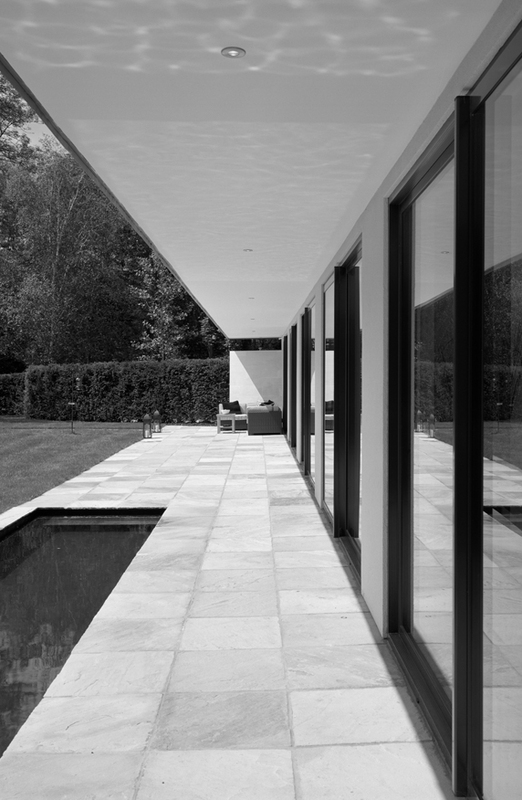 The principle living rooms face south toward the extensive landscaped gardens. 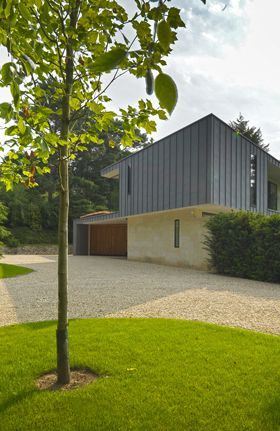 As a result, the façade is deeply recessed from the envelope to provide solar shading with the first floor articulated over the top, clad in zinc, over a coursed stone plinth to ground floor. 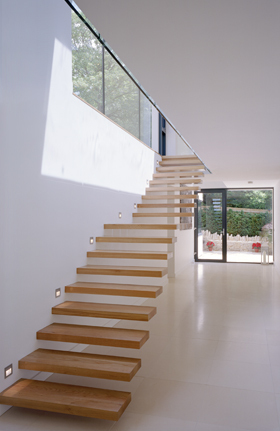 The interior aims to create a series of unified and flowing spaces linked from the double height entrance hall, complete with cantilevered timber staircase.